Shot at f/3.5, 1.6", ISO 100. No flash used. DoF Preview greatly helped in ensuring the roll and case were in acceptable focus. If you’re shooting landscapes, macros, portraits, or anything else where depth of field matters, do you check what the resulting depth of field will look like? If not, you’re missing out big time. Hit the jump to learn of a better way. Seeing and understanding the depth of field can have massive impact on your compositions. When working with a shallow depth of field, knowing what is and isn’t in focus can mean the difference between a keeper and a shot going into the bin. This is especially important in landscapes (everything needs to be in focus), macro (you need a deep depth of field to ensure your subject is in acceptable focus, given how thin the focus is to start with), and portraiture (a portrait with the subject’s nose in focus won’t look very good when the rest of their face is out of focus). First, a briefer on depth of field and viewfinders. “Depth of Field” basically means the areas near the plane of focus that are judged to be in acceptable focus. “Plane of focus” refers to the point where the lens/camera system is focused on – we live in a three dimensional world, yet our film plane captures images in two dimensions; cameras and lenses can only focus on one flat surface at a time. Shallow depth of field (“less”) means that there is less in focus from either direction of the plane of focus (closer to the camera and further from the camera) – while a deeper (“more”) depth of field means that more in either direction in relation to the plane of focus is in acceptable focus. Everything after this point applies to SLRs only: It might apply to mirrorless cameras (I don’t own one, nor plan on owning one so I can’t tell you) but it definitely doesn’t apply to rangefinders, TLRs, or any other camera that doesn’t have through the lens viewing. 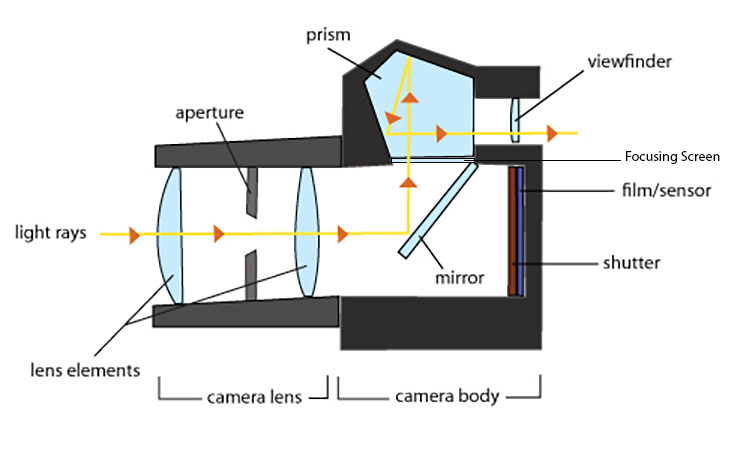 Figure 1: A cross section of your SLR when you peer through the viewfinder. Original image made by what-is-photography.blogspot.com. I modified and split the original. When you look through the viewfinder, you’re looking through two different optics: the focusing screen, a piece of flat laser etched plastic that allows you to focus and compose your image, and the pentaprism itself, which flips the image from the focusing screen so that it doesn’t appears inverted relative to you. Composing is easier when the finder is bright and easy to see. Autofocus mechanisms need a lot of light to function properly. The shallow DoF makes it easier to ascertain where the exact plane of focus is. Of course, this presents a problem – how will your selected aperture’s DoF affect your image? What will be in focus and not in focus? Figure 2: A cross section of your SLR when you hit the DoF Preview button. Again, from what-is-photography.blogspot.com – and I modified it. Focus using autofocus or manually focus. Set your f/stop and shutter speed as applicable to get the shot you want. Press the DoF preview button to ensure the resulting DoF is shallow/deep enough for your shot. As I mentioned earlier, for my landscape and macro work, DoF is everything – and being able to do so quickly and as I work is invaluable. Good cameras, like my Canon EOS 70D and Canon EOS 650, have a dedicated button for it. Amateur/ok cameras like my Canon EOS Elan IIe and Canon EOS Rebel T3 don’t have a dedicated button for it but you can usually set it as a custom function. Bad cameras like Nikon’s D7500 or my older entry level Minoltas DON’T have one. For those that lack it and are digital cameras, you have to use live view/chimp the rear LCD to check the depth of field, which I find to be a very bad habit. And if you’re on film? Sorry, hope you know what you’re doing. Up until the 1980s, SLR focusing screens were optimized for fast, fixed lenses – the standard kit at the time included a fast(f/1.8 or so), cheap fixed 50mm. This was all fine until two things became the normal in the 80’s: zoom lenses with their slow aperture speeds, and autofocus, which takes a bit of light from the mirror to use for its own sensors. 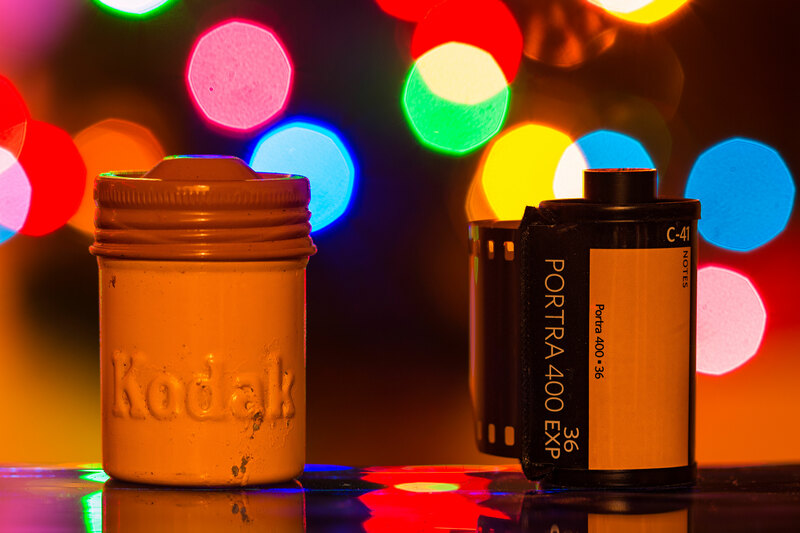 These two things robbed a lot of light from the focusing screen and mirror – and the old screens would darken/black out with slow lenses like the f/3.5-5.6 zooms that were replacing the fixed primes in kits. So, as a result, camera makers went from the split prism/micro collar ground glass manual focus aid screens to simply pieces of matte plastic – this not only saved them money because they’re cheaper to make, but the new plastic designs won’t black out with slow zoom lenses. A consequence of this change is that focusing screens in today’s cameras don’t show the true depth of field when used with fast lenses – the extremely shallow DoF given by my 50mm f/1.4 isn’t shown on my 70D; in fact, you can’t see *any* changes in DoF until you stop down past f/2.5. With some higher end cameras, such as the EOS 1v, you could change out the focusing screen – one of the usual options for a replacement is a screen that’s optimized for fast lenses, with the drawback of being dimmer with the slower lenses. If you find yourself doing a lot of work at wide apertures, swapping screens might be worth considering. As you can see, the Depth of Field Preview button is one of the most useful tools to have when using an SLR – getting a real time, through the finder preview as to how much depth of preview your chosen aperture has is especially invaluable in landscape, macro, and portrait shots. Of course, no matter the composition or subject, depth of field will play a role in it – so checking it before you pull the trigger will land you more keepers and less binned shots.